As promised I am back with my post on my family vacation. The destination has been pleasantly alluring and none other than Dubai. This was my first ever trip to the Middle East. I researched a little on the Internet about the trip and the dress code at the various places. However, I resisted my temptation to google a lot. If you have been following my previous posts, you will be aware by now that I prefer travelling with my mind and heart open to new ideas, locations and people. Thus I preferred to walk the old streets of the city, took the ferry with the locals, travelled by the metro and blended with the local customs. All this, while I stayed at a five-star hotel and had the most exotic food. 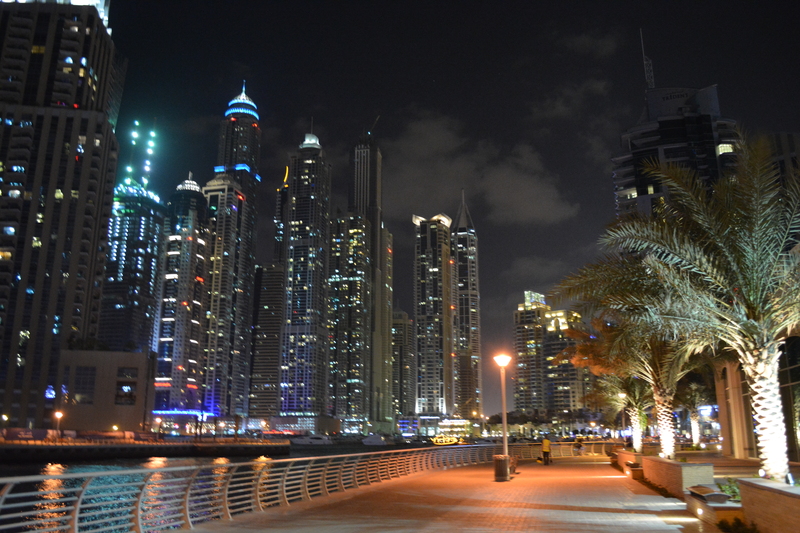 Dubai is the second most populous state of UAE with most of its income from tourism. I landed at the Dubai international airport and checked in at my hotel where I received a royal welcome. An early check-in meant I had time to catch on my sleep and wake up refreshed. After a sumptuous meal, I set on a city tour, where I got a feel of the local culture in the Dubai museum. 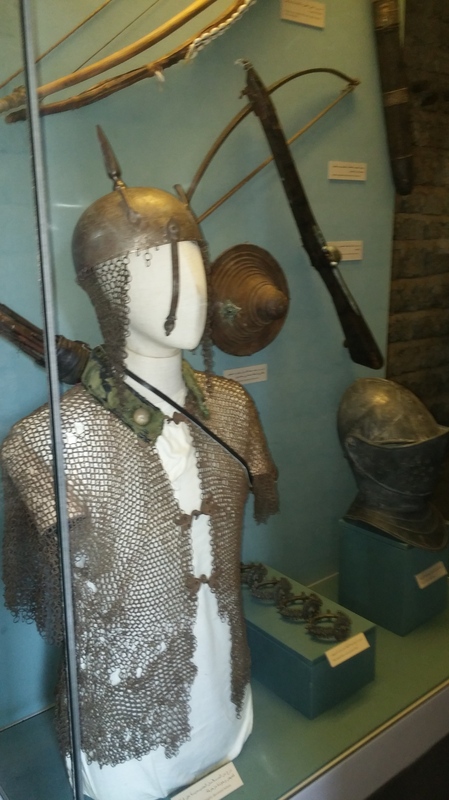 The museum displayed the heritage of the Bedouins, the warrior tribe and the boats used for fishing, which was a major source of income before oil was discovered in the UAE. My next day started with a visit to the Dubai mall, with Dubai Aquarium being a major tourist attraction. I spent my time looking at the various fish in the aquarium and walking around the mall. As the weather was good, I had planned for a trip to the 124th floor of the world’s tallest building, the Burj Khalifa. 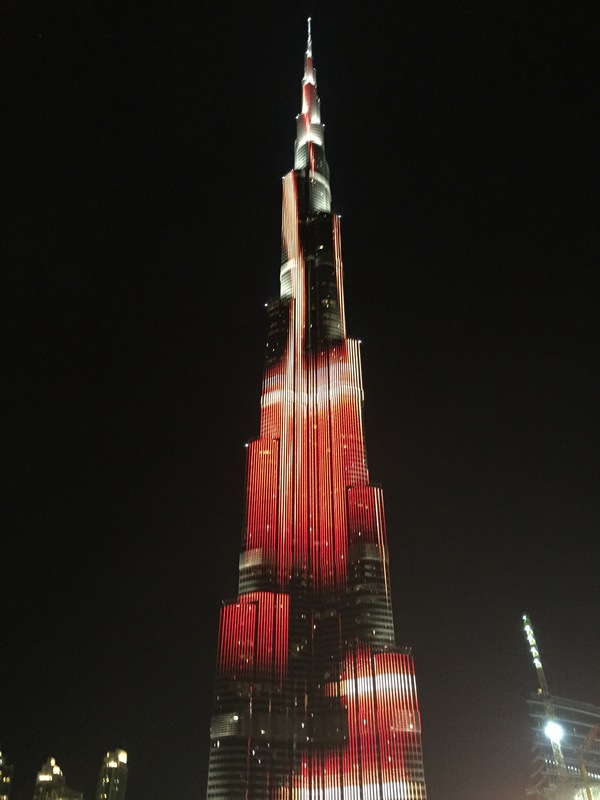 It was a ride of pleasure as the elevator reached the 124th floor in less then one minute. Watching the sunset from the top was a major disappointment, as the weather had turned bad by then. A visit to the fountain was a must in the itinerary hence it was my next stop. After visiting all the major attractions, I decided to visit Bur Dubai, the old city of Dubai famous for its Souks. I shopped for a few souvenirs for folks back home. A lovely silk stole/shawl for myself and some more stuff. 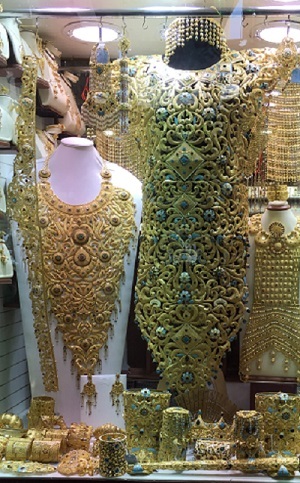 The Gold souk had jewellery that was huge. I needed an adrenaline kick and hence decided to visit the Ferrari world theme park in Abu Dhabi. 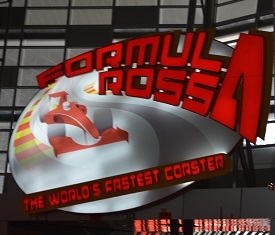 The major attractions were the Formula Rossa, world’s fastest roller coaster at the speed of 240 kmph and the Speed of Magic. It was the first time I experienced a roller coaster ride and I was thrilled. A visit to the desert safari to experience the local costumes and the belly dance by the desert beauty followed by a dance performance by a male dancer was enchanting. A visit to the Jumeirah beach was pleasurable. Apart from all the touristy activities, I wanted to experience the city like a local. So, I enjoyed a ferry ride where I interacted with the fishermen that travel daily using it as a means to do so. The early morning jog/walk along the trail of Marina bay and a ride on the camel were unforgettable experiences too. To pamper myself, I experienced the Arabic perfume making, and a sumptuous dinner on the Dhow cruise. ← It’s time for some fun! !